Changes were recently instituted in the ways pharmacies can handle opioid medications. The new law was enacted in response to growing concerns that opioid drugs are addictive and can cause death and suicide. Pharmacies and doctors who fail to comply with these laws may face civil and criminal charges. Anyone in possession of illegal drugs or who manufacturers or sells illegal drugs can be charged with felony crimes – so it’s important to know what’s legal and what drugs aren’t legal. The law went into effect on January 1, 2019. Under the new law, pharmacists will now only be allowed to fill an opioid prescription for up to half the number of days set in the prescription. At most, a patient can get a 10-day supply (but “no more than 500 cumulative morphine milligram equivalents”). The length of the prescription can be 20 days and up to 850 cumulative MMEs if the prescription is for pain after a surgery. If there’s a “medical necessity” (which will need to be documented by a physician), the pharmacist can prescribe up to 30-days and 1,200 cumulative MMEs. The pharmacy will also be required to check a Controlled Substance Monitoring Database when you first order a prescription, and at least once every six months while you’re getting the prescription refilled. Pharmacists can now discuss (no gag rule applies) opioid-related issues such as the proper way to take the drugs, the risks of taking the drugs, what happens when you use opioids, and financial matters such as cost and insurance coverage. Prescription orders for up to three days and up to 180 MMEs can be prescribed and filled without the above limitations. The crimes and penalties for noncompliance with the law, how pharmacists and doctors are affected, are set forth in the law. 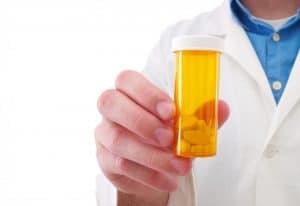 The crimes and penalties for anyone in possession of illegal opioids (without a valid prescription) are set forth in the Tennessee and federal statutes. There are often defenses to criminal charges for the possession, manufacture, or sale of illegal drugs. At Delius & McKenzie, PLLC, we have the experience and resources to contest federal and state prosecutions. For help with any drug-related offense, please call us at (865) 428-8780 or use our contact form to schedule an appointment. We represent defendants accused of crimes in Sevierville, Seymour, Gatlinburg, Pigeon Forge, and the surrounding Tennessee areas.